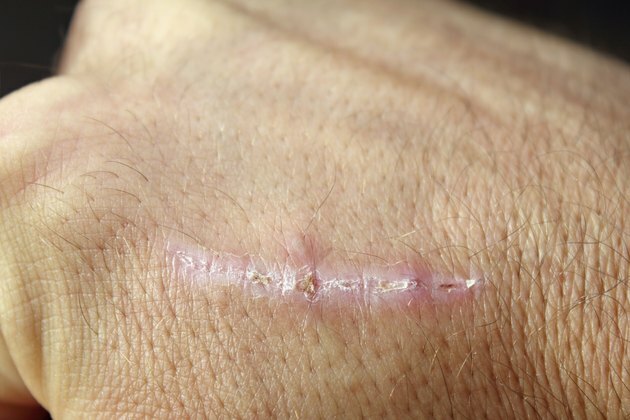 Because your skin is your body's largest organ, it is prone to injury. Injuries from disease or trauma, such as acne and cuts, prompt a healing process that includes scarring. As new skin grows over the wound, inflammation or reddening can remain for months. Combat redness with a few drugstore remedies.